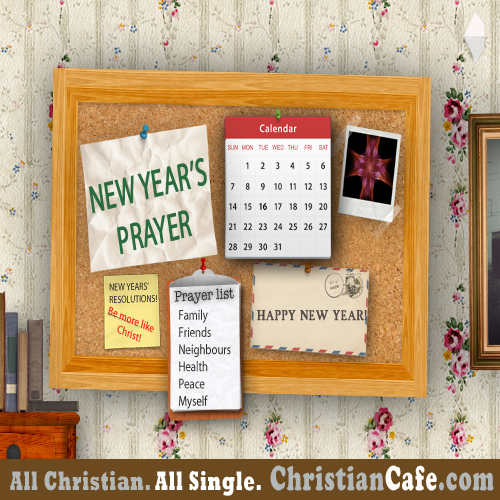 New Year's Prayer for Singles. Start the New Year with a prayer. Another year has come and gone and the expectation for a new beginning starts right away. Some singles might feel lost or even discouraged with high expectations for New Year’s Resolutions, changing of habits, pursuing new plans and goals, and/or the challenges of looking for a mate. The good news is that by allowing God to work on us, we’ll be able to start the New Year with confidence of a better outcome for our plans (even if it doesn’t always go the way we planned or desired). We should hand over our heart’s desires to God in the hopes for a better future and a more fulfilled life. 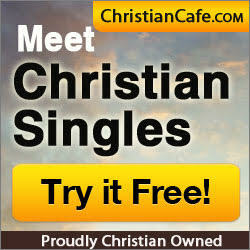 Christian singles, please don’t get discouraged, as our dear Father knows your most intimate desires and wants the best for you. In the end, everything will work out, if you give and surrender your heart and entire being to the One who knows you best, the God of the universe, also known as our Father! New Year’s is challenging, especially if you’re single, and more so if you’re a Christian single. Some might feel that just because their plans didn’t come to pass that they should give up their search for that special someone. But I invite you to read 3 of our blog posts (below) about being single and the best approach for Christian singles who are looking to start the New Year out right. Still single: Why aren’t you dating yet? Single for New Year’s Eve? This very simple prayer (below) will help you to do just that. It’ll help you to ask God to guide your life, and surrender your desires to Him. Everything will then be done according to His purpose for your life. me to survive and conquer the past year. Love made the path a little less hard. enemy who is prowling like a roaring lion. Mighty Hands my future challenges! Happy New Year! And remember: placing your life in God’s Hands is the best New Year’s resolution you can ever make, as He’ll be working to make you a better follower of Jesus, a better giver, and a blessing to others. Don’t be discouraged. BELIEVE and commit your life into the Almighty’s Hands and just trust Him. When prayer for relationship isn’t being answered. Previous post Joyful Christmas Music Songs. to find your God blessed match in Jesus name.